I shot 4 images of the same target with two SB-800s in TTL mode using an SU-800. One SB-800 was in Group A. The other was in Group B. Here are the resulting images, identically processed. 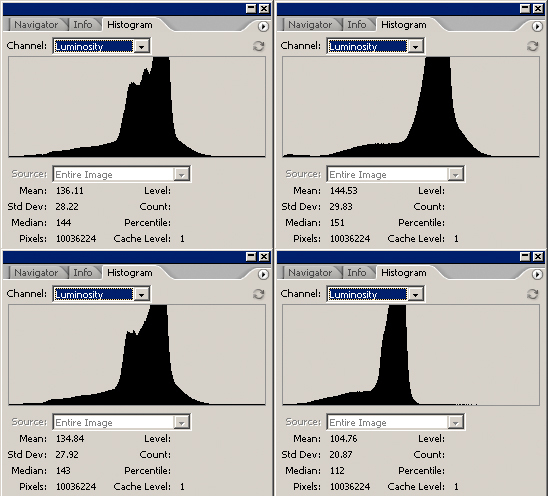 If it isn't clear from the images, here are the histograms. Clearly when Group B did not point at the subject; Group A was not increased in power to compensate. I had hoped that the Nikon system was smarter than this. That it would do all the pre-flashes and then compute all the powers. 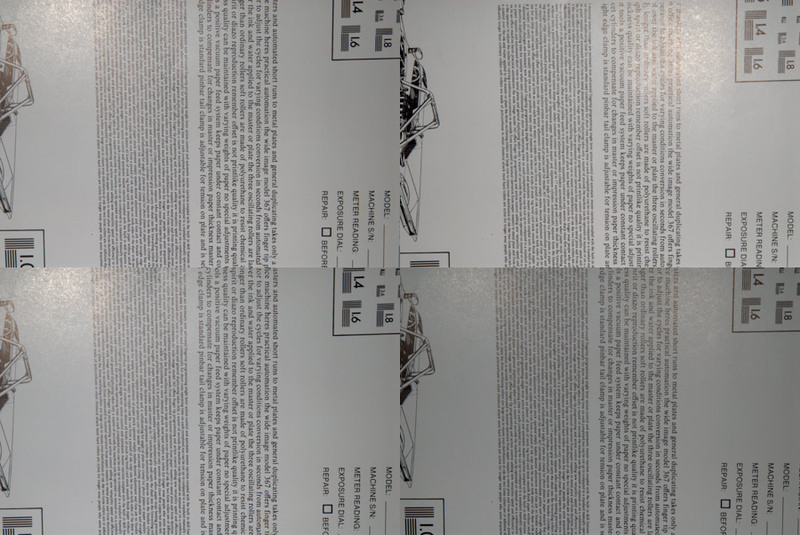 But this test appears to confirm that power levels are set on each Group based on it's pre-flash (for i-TTL). The practical implication would seem to be that is that it's unwise to illuminate the same portion of a subject with flashes from different Groups as their interaction is not taken into account.